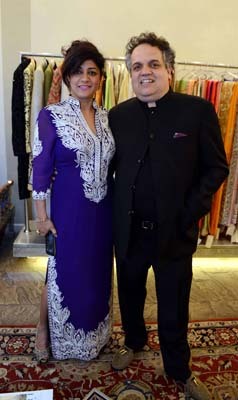 Master couturiers Abu Jani and Sandeep Khosla hosted a pre-show cocktail celebration at the BMW India Bridal Fashion Week. 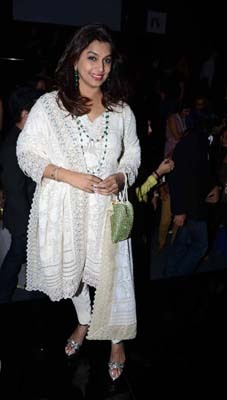 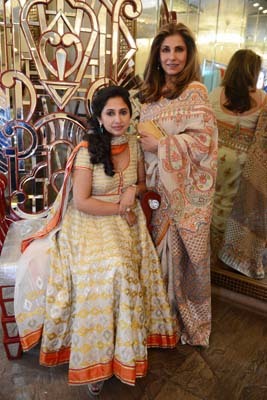 The designer’s fangirls turned up in full support, covered in beautiful Abu Jani Sandeep Khosla creations. 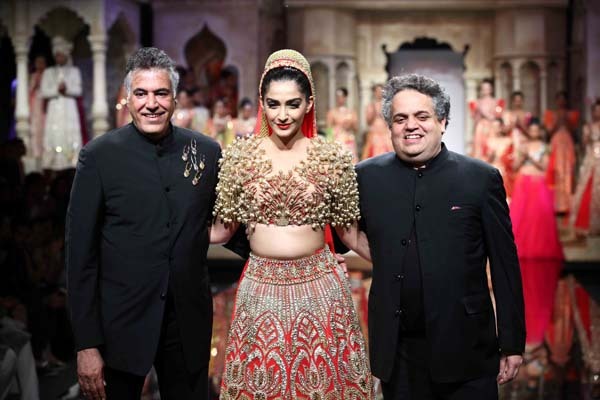 Later that evening, the duo whipped up an eclectic mix of Varanasi-inspired designs and show-stopper Sonam Kapoor beamed like a true Benarasi bride.